SkatePro Fitness backpack with wide comfortable adjustable shoulder straps, vertical skate holder with velcro closure, 2 mesh pockets on the sides, one large main compartment with a narrow separate compartment with velcro closure placed into the back. 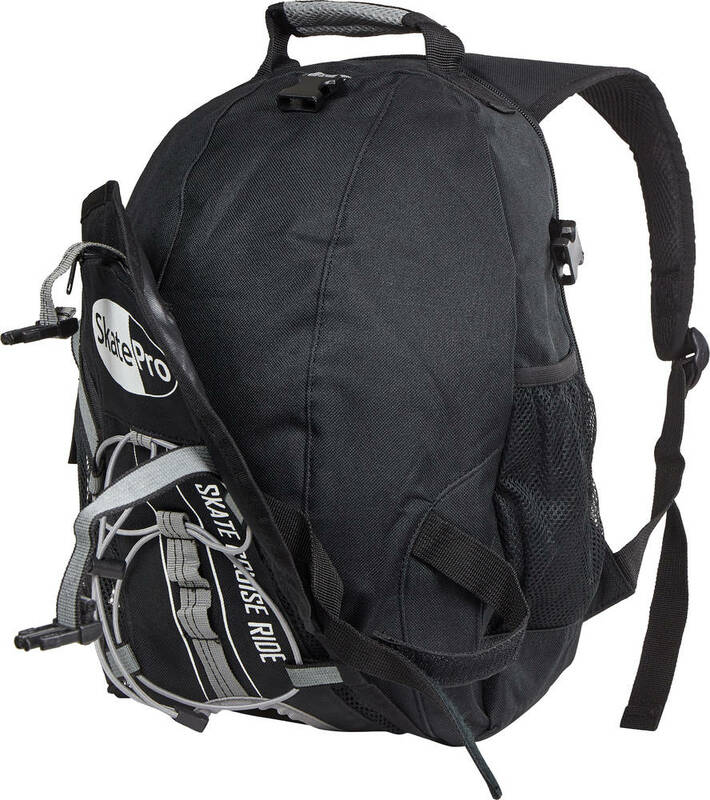 The backpack has one small zipper compartment for keys, wallet or phone on the outside and a large handle on the top. 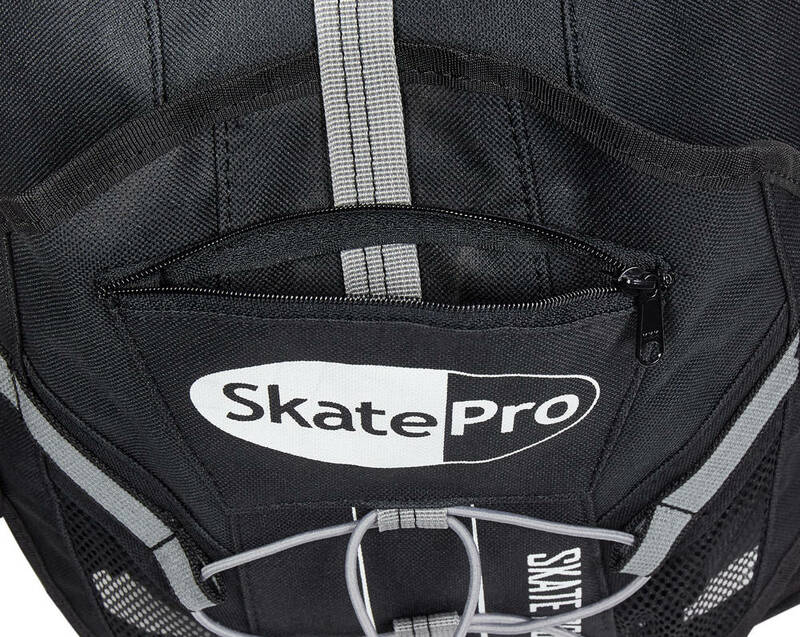 Three outside adjustable straps on the front cover makes a spacious area that along with the skate holders makes it easy to attach your skates on this backpack. 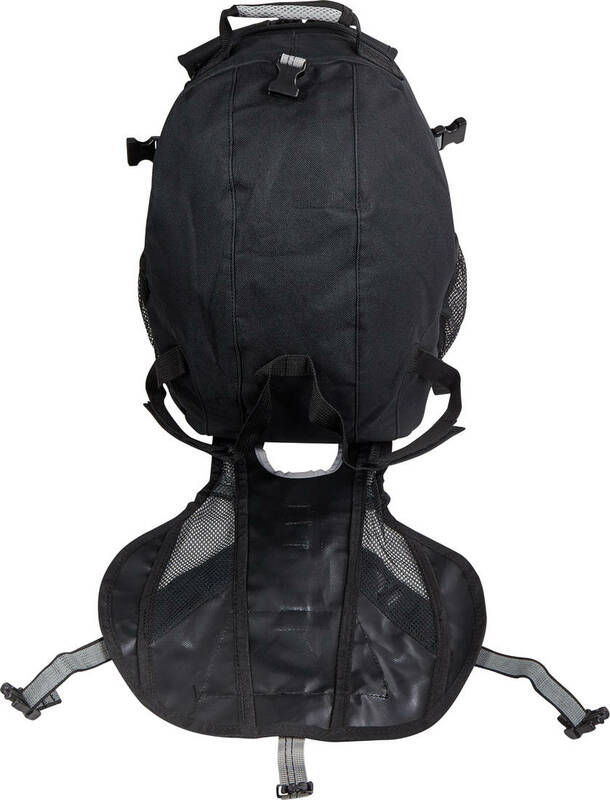 - 16.53 x 10.63 x 4.72"
Good size fits my size 4 inline skates, knee pads, elbow pads & wrist guards. 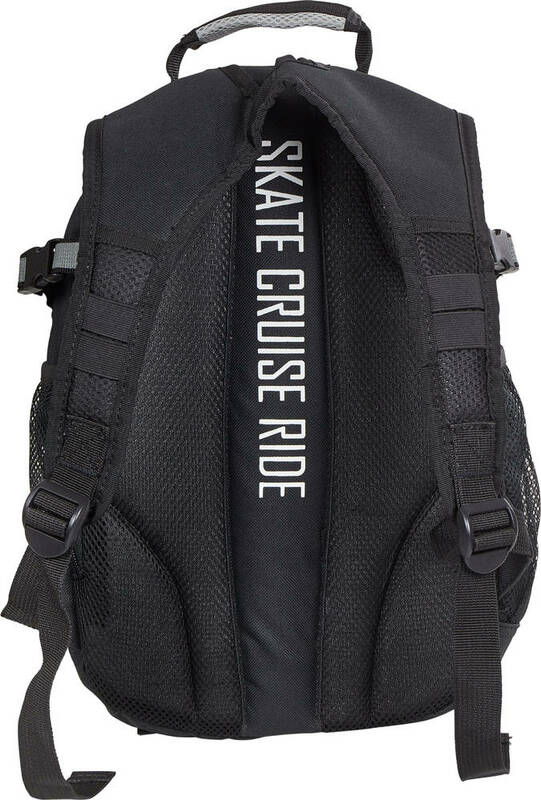 Enough room for drink, keys phone etc and seems quite tough and looks great. Really pleased with it. Soooo handy! 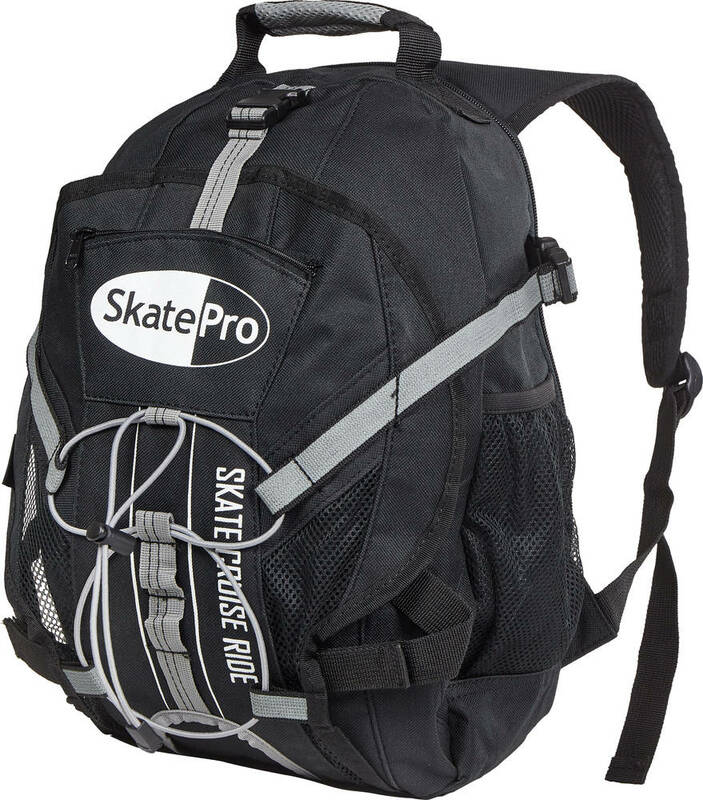 This backpack is surprisingly big inside and really good for attaching skateboards to. 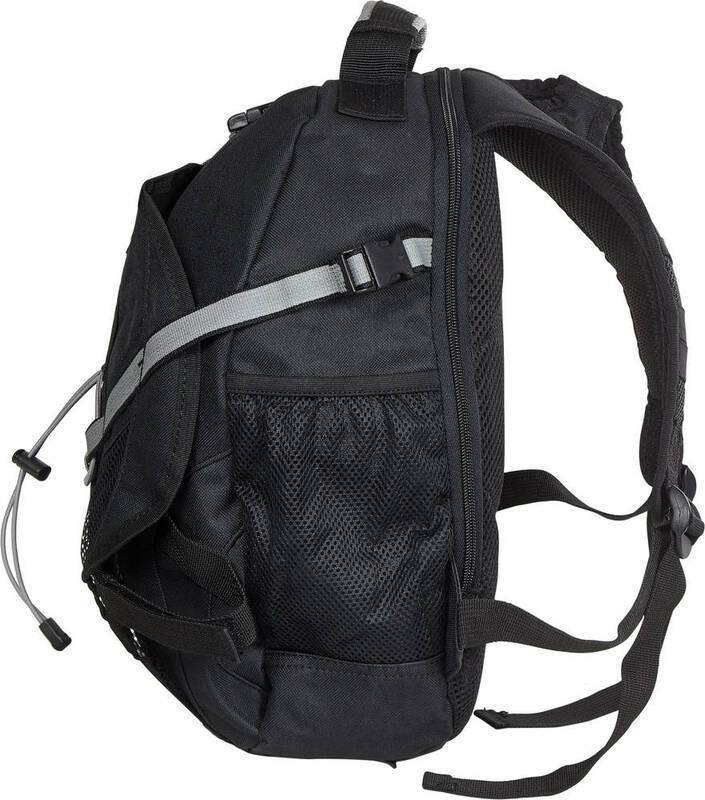 Comfy to wear on long walks and also waterproof in the rain. Great buy! Small- Medium size bag which does the job! Haven't had a chance to try it out yet but it looks pretty cool, sadly I cut the bag before I even got it out of the box. My son loves this bag. It is just the right size. 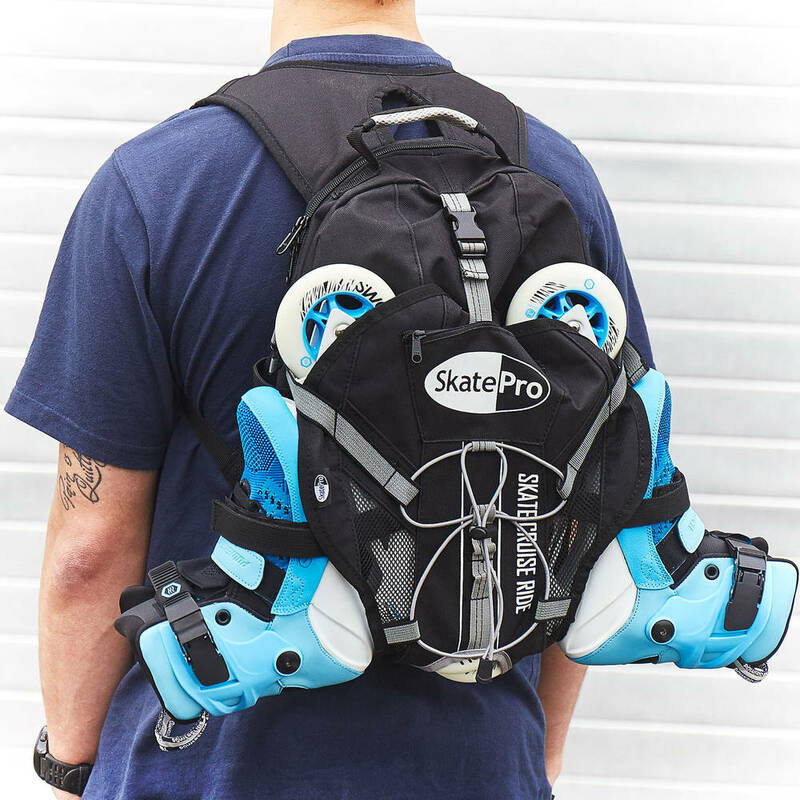 Pretty simple backpack for carrying the skates. Worth the on sale price.